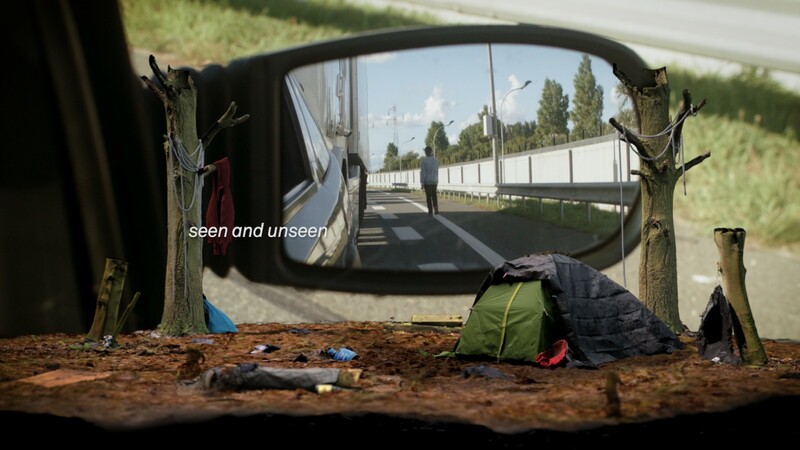 Imran Perretta was one of two recipients of the Jerwood/FVU Awards 2018: Unintended Consequences. The project awarded him with £20,000 to develop his winning proposal and make the significant moving-image work, 15 days. 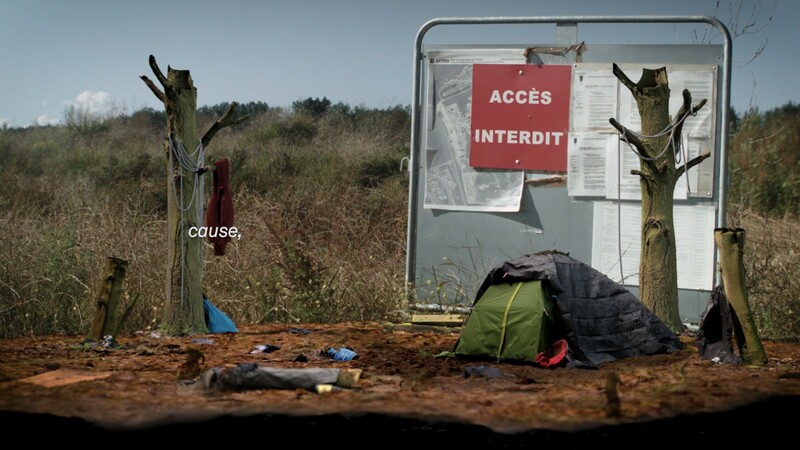 After the refugee camp near Calais that became known as the Jungle was razed in 2016, the hundreds of people who had found shelter and a sense of community there were equally abruptly uprooted, adding yet another sorry episode to the disruption and displacement they had already suffered in their flight from persecution, corruption and the fall-out of war. 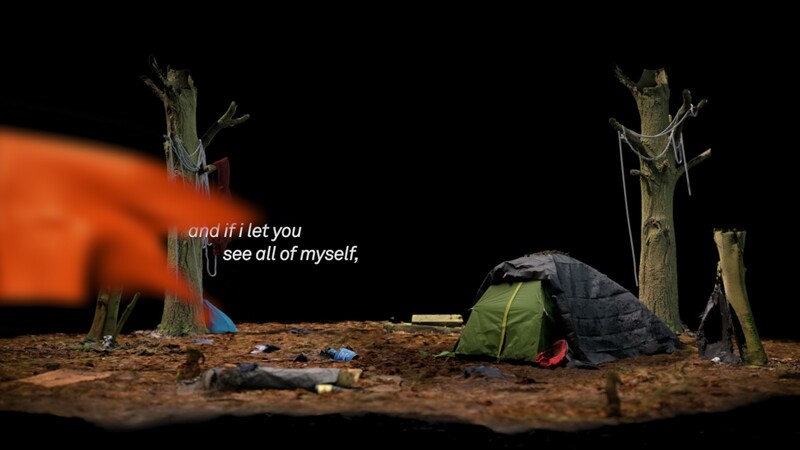 Imran Perretta’s video 15 days is inspired by the time that he spent in Northern France with former inhabitants of the Jungle, now living rough in the surrounding woods and fields. 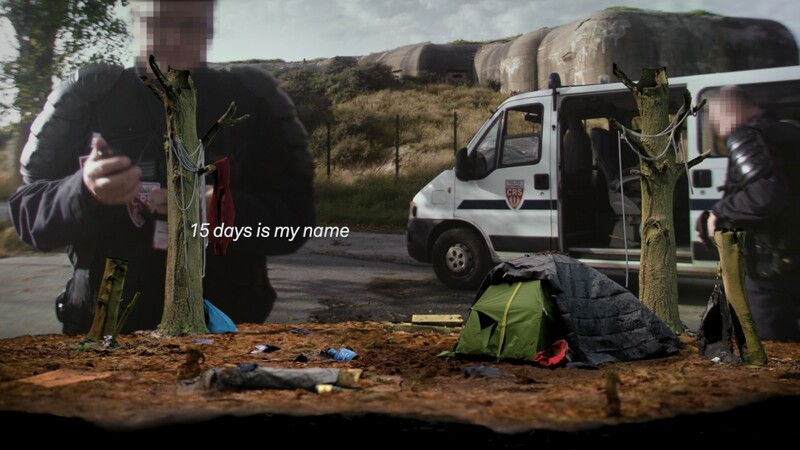 The title of the piece is not a measure of the length of his stay there but rather a salute to the hastily made-up name of one of the people he befriended, whose alias ’15 days’ might be an allusion to the all-too-brief period of respite since his latest temporary camp was destroyed but might also read as a sardonic rebuke of the interminable nature of the time he has been waiting in limbo, in the hope of a new and better life. 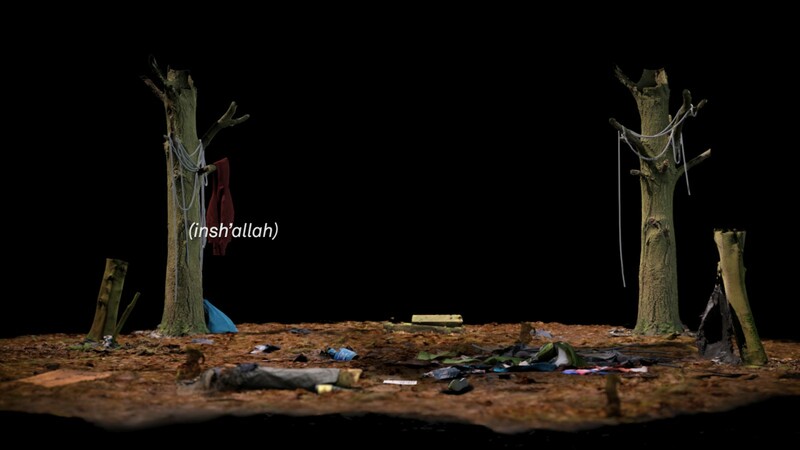 Perretta pictures this state of limbo through the otherworldly medium of the computer-generated image, animating this bleak and soulless no man's land with a proud and poignant spoken monologue that is a model of dignity and impassioned humanity. 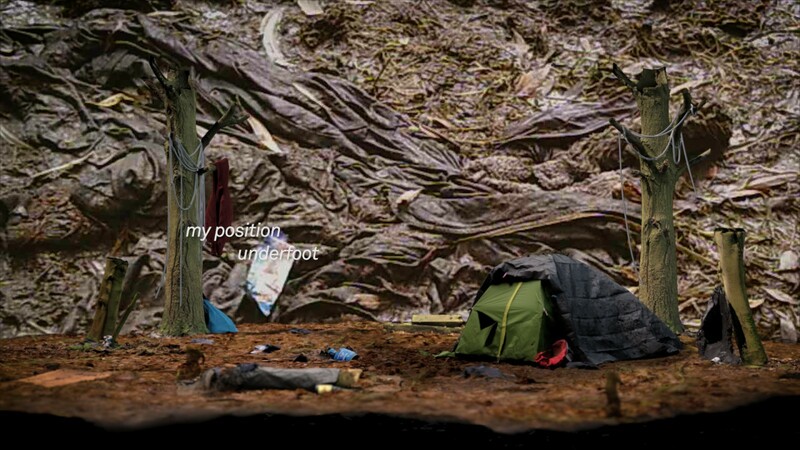 Against a backdrop of dank digital trees and muddy scrubland foliage (interspersed with handheld footage shot on location in France), a tent flaps in the breeze. A simple repository of all that someone has in the world, its flimsy outline is also a reminder of all that stands between them and the world. Even this modest protection rarely lasts very long. Regularly slashed by vigilantes or routinely confiscated by police, for each tent to survive more than fifteen days would be a little miracle in itself. Stark and compelling, Perretta’s video captures the intense emotions of living on the edge and brings them unwaveringly to the centre of our thoughts. 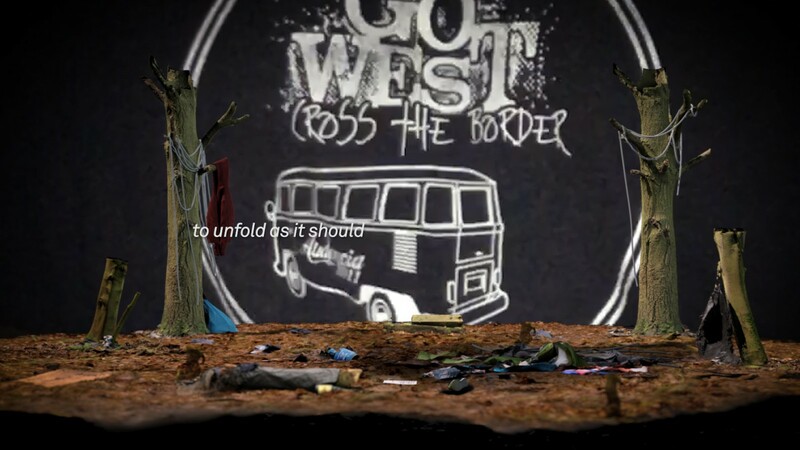 15 days was commissioned for the Jerwood/FVU Awards 2018: Unintended Consequences, a collaboration between Jerwood Arts and Film and Video Umbrella. Imran Perretta addresses biopower, marginality and the (de)construction of cultural histories. His multi-disciplinary practice encompasses moving image, sound, performance and poetry. Perretta is a graduate of the Slade School of Fine Art, University College London (2014), and Bartlett School of Architecture, University College London (2010). Recent exhibitions include Mene Mene Tekel Parsin, Wysing Arts Centre, Cambridge; brother to brother for Jerwood Solo Presentations, Jerwood Space, London (both 2017); it wasn't a crash, in the usual sense, Arcadia Missa, London; Pale News (in collaboration with Milo van der Maaden) commissioned by the Chisenhale Gallery and performed in Victoria Park, London (both 2016); 5 percent, Copenhagen Art Week, Denmark; Devotions, MOT International Project Space, London (both 2015); Bloomberg New Contemporaries, World Museum, Liverpool and ICA, London (2014–15); and The Red Mansion Prize, Dyson Gallery, RCA, London (2014).